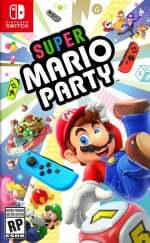 We had a lot of fun with Super Mario Party when it launched last October - we called it a "beautifully realised Mario Party game which takes the series right back to its roots" in our review - but we always thought it could have done with another board or two to enjoy via an update or DLC package. - Online: Fixed an issue with Online Mariothon in which ranking data was not displaying properly. We're actually quite surprised that it hasn't received any free content updates like Mario Tennis Aces, Splatoon 2, and ARMS did before it, or even new board sets as paid DLC. Once you've played through everything the game has to offer a few times, things can get a little stale, and new boards would be the perfect way to renew our interest in the whole thing. Maybe they'll arrive one day, but that day sadly isn't today. What do you think? Should Nintendo add new content to Super Mario Party? Would that make you jump back in for more rounds, or do you still play it regularly today? Let us know down below. No thanks. Call me when something NEW is added. I was for sure some new boards would be added to this game. It's a fun game but with only 4 boards to choose from that made it because stale pretty fast unfortunately. @DTfeartheBEARD I agree, even though each board has two different versions plus the rapids, it's not enough. Having new boards, even classic boards from previous Mario Party titles that also include previous minigames would be welcome. It's hard to keep the fun up even with my kids, which is strange because I used to play some of the other Mario Party games to death. At least we don't have Mary Party 10 Deluxe! I've played this enough to be thirsty for new content. Four boards is such a pathetic number, which is a shame, since everything else in this game is great, from the production values to the number of options to the actual minigames. Double the number of boards and get back to me. I was also sure that additional boards would be added to keep the interest up... like they added stuff to Mario Maker over time. 4 boards is simply not enough... especially when they are very uninspired and non-strategic. I love the Mario Party series and this entry did not disappoint in terms of mini games or content. I don't think Nintendo were prepares for it to sell as well as it did but hopefully they will have se new boards at the next direct to show off. I think Captain Toad has shown that updates and dlc can come quite late to a game. I love this game but challenge road, Tow the line. I find it near impossible with a cpu player as a partner and I’m stuck. Has anyone actually completed challenge road? A real online mode, please. Now that you're charging for online play 'n all. I enjoyed playing this game with friends when it was new, it works very well at what it is, but the whole thing feels very "just enough". Just enough characters, just enough boards, just enough content. They could really have done a lot more. More boards especially would have been nice. More characters too. I mean, how hard would it be to add more characters? And I am sure they could rehash a few boards from previous games in the series and just give them a "Super Mario Party" coat of paint. Remember how MK8D got free DLC for funsies, even though it was a completed game? Good times. So long as we don't have to pay for these kinds of updates. Out of all the games that have a bunch of free and paid DLC I thought this would make the most sense. It's also what I would want DLC for the most since I feel we're lacking in some interesting boards this time around. Just make a new game. 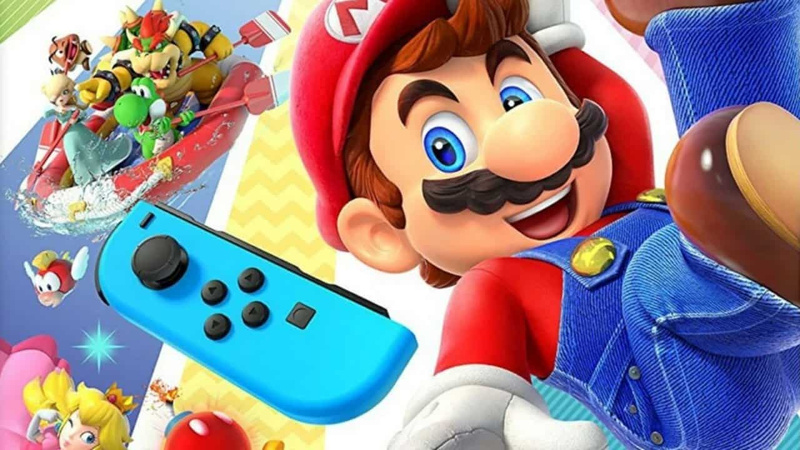 Super Mario Party feels like a blueprint for a good Mario Party. Make bigger and better boards. Add Pro Controller support, get rid of those other modes, get rid of the team characters. As good as Super Mario Party is, I agree that it could use some more boards. There's only 4 of them and I wish they were a tad more imaginative. Boards and minigames from past Mario Parties would be great! If they release dlc I will buy it day one. Come on Nintendo!!! Sounds to me like millennial entitlement. Remember the days when games were released fully formed and DLC wasn’t an expectation? We should be grateful they patched out a bug. I think they'll add more boards as sort of like a full on expansion. Akin to Torna or Octo Expansion. Maybe it'll cost around 40 bucks. I would love for Nintendo to make a “game as service” Mario party game. Create events with different boards that appear only during certain times of year— like how overwatch has yeti hunt or snowball fight in their winter event. This game was a let down. Wish theyd take it more seriously and make a Mario Party that isn't just a gimmick. The originals on N64 were so good, this one pales in comparison. I've pretty much abandoned this game after beating it since November of last year. Though it isn't a bad game by any means, the various flaws ranging from barebones content to flawed board gameplay made SMP a "just there" release. Wake me up when ND Cube makes a full-blown good sequel or brings plenty more free content to SMP. Mario Party boards... online... with friends... with voice chat. That is my dream add on. Handheld mode would be nice, then possibly I'd consider the game. I'd prefer DLC games and boards vs a new game. I want as many mini games as possible on one game so that I don't keep playing the same games. Mini games are much more important to me than boards. But it seems on here people majority beg for boards over games. @sixrings I agree. And hope new boards & games do become available soon. .,....I am wondering when they will start adding boys and minigames and stuff from old games? Shouldn't be that hard (and more potential people in buying this game). Add some skateboard games, mp1-10 games, and maps and BOOM! best Mario Party ever! I like the minigames in this MP, but it does feel a little stale after playing through a few boards with friends. This game sold over 5.3 million copies!! How come it got zero support?! BUT IS IT MORE STABLE?! How about just making the online mode actually work? Every time I try to play the Online Mariothon, I get into the first minigame, it lags horribly for about 10 seconds, and then I get disconnected. My internet is not that bad. This game is offensive to any fan of the series. We collectively agree, "Yeah this game would be awesome online if it was something COMPLETELY DIFFERENT"
I would really like to play on new boards. I have played on the same boards countless times. Thank you for reminding me that I own this game! Online is really a disappointment so far.. ! And doesn't it seem easily fixable? Seriously, Nintendo, we need new, character-specific boards! Such a shame. This is such a great game, if nothing for the lack of boards. I don't think it needed Smash-level attention, but 6-8 launch boards felt more appropriate than 4. It is a great game still. Honestly two of my MAJOR complaints would be not many options to change in game, like cost of a star, and bigger maps. Online is not a big complaint from me like for a lot of others though. Having only four boards was shocking at first, then I discovered the team battle mode. Still would prefer having more boards. At least two new boards... preferably more, and some new playable characters w/ custom die. While you’re at it, release a new kingdom or two for Super Mario Odyssey as I also had my hopes up that there would be some additional content for that other than random Mario costumes that aren’t worth the massive coin grind to buy them in-game. In large part due to all of the added content that freshens it up every month. No Halloween or winter boards last year, thought maybe they had something planned, anything... first update has nothing... Pathetic. Even after they said they were focused on supporting first party titles. They are charging full f'ing price ($80cad) for this. Love the rafting/rhythm/coop modes, but with so few boards, there is no reason to continue once you collect the gems. To be honest I bought this game because I assumed the bare bones content on release meant it would be getting expansions. I guess it's not too late for that but the lack of attention to this game is concerning. The original games on the N64 and GameCube are better imo but I still have a blast playing Super Mario Party with friends. I'm just assuming the lack of content updates is due to NDcube developing a Super Mario Party 2. Remember that these are the developers known for putting at least one game out every year. It would be really funny (but also a little upsetting) if they through a curve ball and announced another Mario Party for the 3DS. The fact that Super Mario Party doesn’t have a number in its name, lends itself perfectly to a game with paid DLC or updates with more content. Come on Nintendo, make it happen.